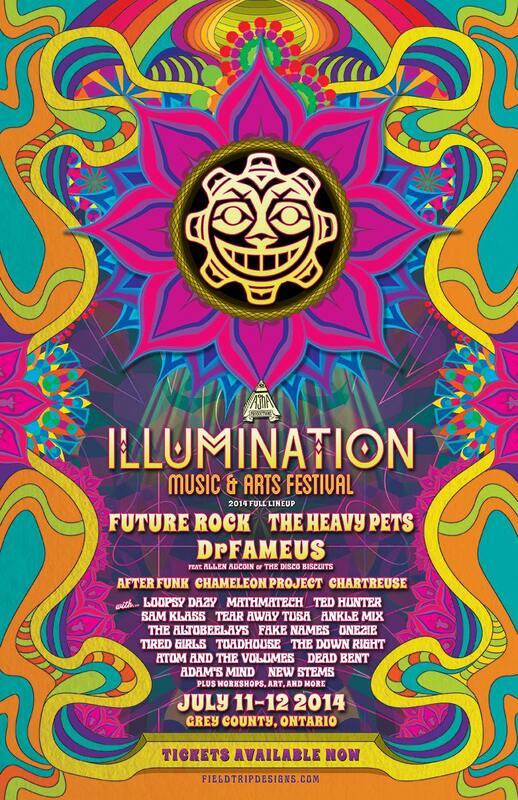 Future Rock will perform at Illumination Music & Arts Festival taking place July 11-12,2014 at Frontier Ghost Town in Durham, Ontario, Canada. Illumination is Ontario's newest festival, bridging the gaps between funk and electronica, folk and indie-rock, visual arts and music to bring you a two day soul-shakedown party under the Canadian skies. With on-site camping and music going well into the night, the party doesn't stop all weekend. Good music, Good vibes, Northern skies, and Illuminated minds. Other acts on the bill include The Heavy Pets, DrFameus, After Funk and many more. Tickets are available online now through and visit the official festival web site at www.illuminationfestival.ca.